Thank you for your interest in Adoration. We have two slots listed for each hour so we can be sure to get those filled at a minimum. 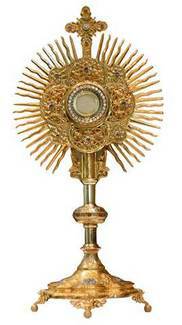 Adoration begins after Mass on Thursday and goes until around 7:45 AM Friday. On Friday there will be a Rosary said outloud as a group at 7:30 AM and the reposition of the Sacrament to follow with Mass begining at 8:00 AM. Simply click on the Sign UP botton on the date you are wanting to sign up for and additional times for that day will appear for you. To see April dates, simply click on the arrow next to March on the top of the calendar. Note: the 11:00 PM slots only list until 11:55 because of a program "glitch" and we can't have a slot listed for two days. Thank you for staying until midnight. I will have the schedule adjusted, printed and displayed each week in one of the upper gathering space, so people can physically sign up on that sheet before or after a Mass (and I will enter them into this sign up). IF you can't make the time you sign up for please find a replacement so we are sure to have all spots filled. If you need help finding one contact me and I can try and help. ALL times are considered Private Adoration opportunities. IF you are interested in a group Adoration activity such as reciting the Rosary outloud PLEASE contact me so we can publicize that. If you have any questions please feel free to contact me (Crystal). THANK YOU for your support.